On August 24 guards here at Florida State Prison (FSP) donned special “formal” uniforms of black pants, dark grey shirts and black neckties – their usual uniform consists of black pants, a light grey shirt and no necktie. The special occasion? Looking at each guard that day I could only shake my head at their solemn pretensions and utter hypocrisy. There they were united in killing a man as punishment for a “crime” that they frequently collude in committing themselves. In fact, not a month before, a ranking FSP guard, sergeant Alvin Cazee, casually boasted to me that numerous prisoners have been murdered by guards at this prison. On July 28 Cazee “escorted” me fully restrained to the FSP medical department, at which time he asked if it was my first FSP medical visit. I replied that it was. With a puzzled expression he asked, “Didn’t I see the nurse give you your meds this morning?” I replied that she had. He then marveled that he’d worked at FSP for many years, and had never seen a prisoner receive any meds without seeing the prison’s doctor first, even those with life-threatening heart and cancer conditions. He implicitly admitted knowing about such abuses stating, “All I’ll say is not everyone does what they’re supposed to do around here. I can only accept responsibility for myself. I’m not part of any of the cliques or groups around here and I don’t participate in these things. I mentioned having read articles about a prior Florida Department of Corrections (sic!) mental health worker who’d witnessed and reported numerous abuses of FDC prisoners by guards. In turn her supervisor turned on her and guards repeatedly put her in situations where she felt they were trying to scare her or set her up to be assaulted by frequently locking her alone in areas with numerous mentally ill prisoners around, some reputed to be violently unstable. In the end she lost her job. The experience so haunted her that her hair began falling out in patches. She apparently wrote a book about her ordeal in FDC and exposed how mental health staff collude with or turn a blind eye to guard abuses. Bowie said he’d never heard about her. I then asked if he knew about Darren Rainey, a mentally ill prisoner who was killed in 2012 by guards at the Dade Correctional Institution, who locked him inside a shower and scalded him to death; and how the FDC transferred a prisoner out of state who witnessed the murder, wrote about it in a journal and spoke out about it. In reality there are many who commit the full range of abusive and murderous acts, and the rest are just like Cazee and Bowie, who protect those wrongdoers through lying or silence (“I don’t know nothing.” “I can only accept responsibility for myself.”) “Integrity” to them means not doing “bad things” themselves, but by lies and silence condoning and protecting those who do. Fundamentally they are cowards. In 2014 Florida’s prisons saw a record number of prisoner deaths. Many occurred under suspicious circumstances. Like Latandra Ellington, who warned her family shortly before she died that guards at Lovell Correctional Institution threatened to beat and kill her. The state coroner dismissed her death as by natural causes. But an independent autopsy found her skull was bashed in and “hemorrhaging caused by blunt force trauma consistent with kicking and punches to the lower abdomen.” Yet the FDC claimed there was no evidence of a beating. Then there was the staged hanging of Robert Peterkin after he’d also warned his family of sinister intentions by guards against him. 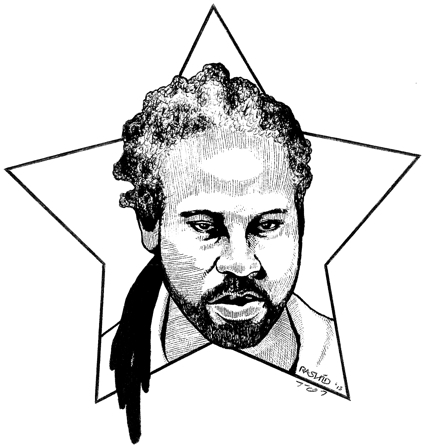 And Matthew Walker who had his throat crushed and head bludgeoned by guards at the Charlotte Correctional Institution. And while on this rare occasion the medical examiner ruled his death a homicide, the nine responsible guards went unpunished and most kept their jobs. Prison officials had cleaned up the crime scene which is a crime in itself. This too went unpunished. The state then tried to hide Rainey’s tissue samples, to prevent an independent review by a nationally renowned pathologist hired by his family. The state even refused to comply with a federal subpoena. This compelled a court order to produce the samples. A retired Miami-Dade public defender testified that in 30 years of handling homicide cases she had never seen a court order required in this manner to have specimens reviewed. Not surprisingly the guards who murdered Rainey were cleared by the state of any criminal wrongdoing. But this all barely scratches the surface. In the wake of complaints of prisoners’ grieving relatives, and consequent media reports of numerous prisoner killings, a number of investigations have been staged into many of these deaths. But only a handful of prosecutions have followed for less serious abuses – all as damage control. In this climate a few guards came forward as witnesses to murders and cover-ups by other guards. These witnesses were, however, harassed and fired, leading several to sue the FDC. He pointed out that there’s a system-wide intergenerational culture of abuse in the FDC. I’d go further and link it to the culture of the old Jim Crow South, of which Florida was a principal part, where Blacks were terrorized by frequent lynchings. Which is exactly what the killings by groups of guards with the tacit or explicit support of their peers boil down to. In FDC white females especially are forbidden to work in solitary confinement or to work unescorted by male guards in the cellblocks. This is enforced with particular vigilance by the white male guards like in the old South. In the FDC’s Reception and Medical Center’s Solitary confinement unit where I was confined Black and Latino female guards were “allowed” to walk unescorted in the cellblocks, usually serving disciplinary reports; white female guards however were not. In other prison systems where I’ve been confined (Virginia, Oregon and Texas), there is no outright discrimination against women working on the same terms as men in solitary units and cellblocks. In FDC any time a female (white females in particular) of any position or rank enters a solitary cellblock, male guards announce a female’s presence and yell for the prisoners to “get off the door!” If any prisoner is “caught” standing at his cell door after this announcement is made, he is subject to being refused meals, being put on strip cell (being left in the cell with nothing other than his boxer shorts for no less than 72 hours), being gassed with chemical agents and/or receiving a disciplinary report. FDC prisoners are literally spoken to and treated like animals and incompetent children by officials, and are expected to instinctively defer to being dehumanized under threat of immediate violent abuse; exactly like in the old South. Most I’ve been around feel powerless to change this and those who resist even in words or attitude are met with prompt abuse. In turn their frustrations are directed at each other, which officials enable, instigate and encourage, to prevent the prisoners from focusing on them and challenging their abuses and the inhumane living conditions in FDC prisons. Julie K. Brown, “Judge Orders Medical Examiner to Release Skin Tissue in Autopsy of Inmate’s Shower Death,” Miami Herald, July 14, 2017. Op cit., note 3; see also, Dara Kam, “5 Prison Guards Arrested After Attack on Inmate.” The Times-Union, Sept. 13, 2014.